The Tomb of Hafez and its associated memorial hall, the Hāfezieh (حافظیه), are two memorial structures erected in the northern edge of Shiraz, Iran, in memory of the celebrated Persian poet Hafez. The open pavilion structures are situated in the Musalla Gardens on the north bank of a seasonal river and house the marble tomb of Hafez. The present buildings, built in 1935 and designed by the French architect and archaeologist Andre Godard, are at the site of previous structures, the best-known of which was built in 1773. 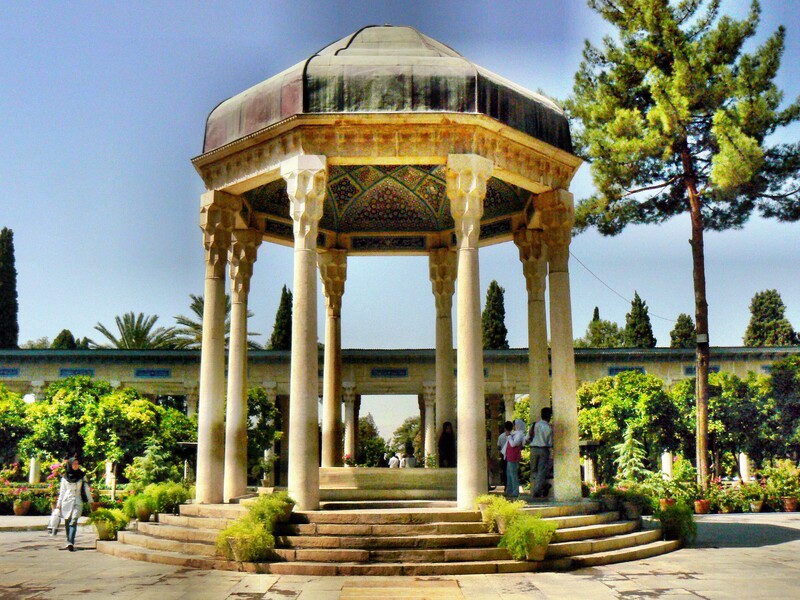 The tomb, its gardens, and the surrounding memorials to other great figures are a focus of tourism in Shiraz.